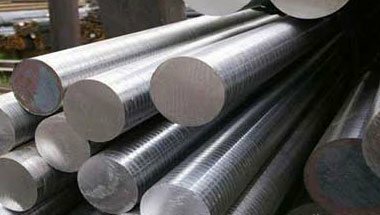 Monel K500 Round Bars & Rods are erosion resistance and has high strength corrosion fatigue. We are recognised and appreciated for supplying the best quality Monel K-500 Round bars, rods and wires as per the clients requirment. We have the capacity and infrastructure to export Alloy K-500 bars around the world. All Monel K500 bars, rods and wires manufactured and supplied by Neon Alloys meet national and international standards. Due to its sturdiness, corrosion resistance, dimensional accuracy and high tensile strength, Monel K-500 alloy bars, rod and wires finds wide applications in the marine, chemical, petrochemical and shipbuilding industries. Monel K500 is used in many application like Pump shafts for fire-fighting pumps, Valve seals, pump sleeves and wear rings in marine environments, Propeller shafts, fasteners, doctor blades and scrappers, cable, springs, oil well drilling equipment, aviation instrument components, pulp paper processing, sensor components etc. Monel K500 is a precipitation-hardenable nickel-copper alloy that combines the excellent corrosion resistance characteristic of Monel 400 with the added advantage of greater strength and hardness. Monel K-500 has a greater tendency toward stress-corrosion cracking in some environments than Monel 400. Moreover, these Monel K500 Round Bars can also be custom designed to cater the variegated demands of our clients. The manufactured Monel K500 is easily available at very affordable and reasonably economic market rates. Monel Alloy K500 Rods, Monel Werkstoff Nr. 2.4375 Round Bars, Monel K500 Round Rods, Monel Alloy K500 Hexagonal Bars, Alloy K500 Bright Bars Supplier & Monel K500 Bars Exporter in India. Mexico, Vietnam, Germany, Ethiopa, Kazakhstan, Canada, Jordan, Italy, Cameroon, Argentina, UAE, Kuwait, Egypt, Uganda, Iran, London, Sudan, Ghana, Dubai, Bahrain, Brazil, Peru, New Zealand, Democratic Republic of the Congo, Saudi Arabia, United States, Turkey, Russia, Malaysia, Israel, Algeria, Tunisia, Trinidad and Tobago, Morocco, Australia, Houston, South Africa, Mozambique, Chine, Africa, Sri Lanka, Venezuela, Azerbaijan, UK, Thailand (Bangkok), Angola, Iraq, Nigeria, Indonesia, Colombia. Cairo, Abidjan, Bethlehem, Amman, Istanbul, Ouagadougou, Beirut, Ibadan, Johannesburg, Byblos, Rabat, New York, Abu Dhabi, Mbuji-Mayi, Antananarivo, Dammam, Sharm el-Sheikh, Manama, Bulawayo, Kaduna, Tripoli, Accra, Lagos, Tel Aviv, Casablanca, Alexandria, Data from the UN, Luanda, Cairo, Khartoum, Doha, Durban, Dakar, Riyadh, Kampala, Lubumbashi, Freetown, Conakry, Yaoundé, Brazzaville, Kolwezi, Colombo, Subra al-Haymah, Cape Town, Omdurman, Kano, Harare, Mogadishu, Bamako, Maiduguri, Muscat, Aqaba, Fez, Port Elizabeth, Singapore, Benin, Nairobi, Soweto, Dar es Salaam, Jeddah, Pretoria, Maputo, Port Harcourt, Lusaka, Giza, Algiers, Addis Ababa, Jerusalem, Zaria, Kinshasa, Mecca, Hong Kong, Douala, Dubai, Tehran.